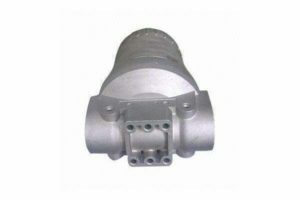 The High pressure die casting is a manufacturing process in which molten metal (aluminum) is injected with a die casting machine under force using considerable pressure into a steel mold or die to form products. 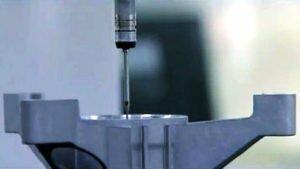 Because of the excellent dimensional accuracy and the smooth surfaces, most high pressure die castings require no machining except the removal of flash around the edge and possible drilling and tapping holes. High pressure die casting production is fast and inexpensive relative to other casting processes. 1.Alumium alloy die casting: A360/A380/A390D/ADC10/ADC12/ZL110, ZL101,102,114, etc. 2.Zinc alloy die casting: ZDC1/ZDC2/Zamak 3/Zamak5/ZA8/ZL4-1,etc. 4.MOLD MANFACTURING: from designing drawings in prt/fem/igs/stp/dxf/model/x-t/x-b form etc. to mould making to qualified samples supplying. 3. CNC centers, CNC turnings, CNC lathes, Electrinc pluse, Wire EDM, milling, drilling, grinding. Surface Treatment Polishing, shot blasting, sand blasting, painting, powder coating, anodizing, Plating chrome, Plating nickel, Plating zinc, Electrophoresis, Passivation, Chemical coating film, etc. 1.Automobile and motorcycle parts: engine cover, cylinder head, brake pad, shraft, clutch, etc. 4.Electrical appliance parts: connector, telephone junction box ,waterproof terminal box, etc. 6.Industrial hardwares: control valve housing, air tools, engine cover, instrument parts, etc. 7.Machine spareparts: machine vavle, base plate, end plate, propeller parts, etc. -Send us enquiry by either email or fax, and we will make you detailed offer. -After everything is confirmed, we will send you a Pro forma invoice in which our bank information is included. -Then you can take delivery based on these documents at your port.